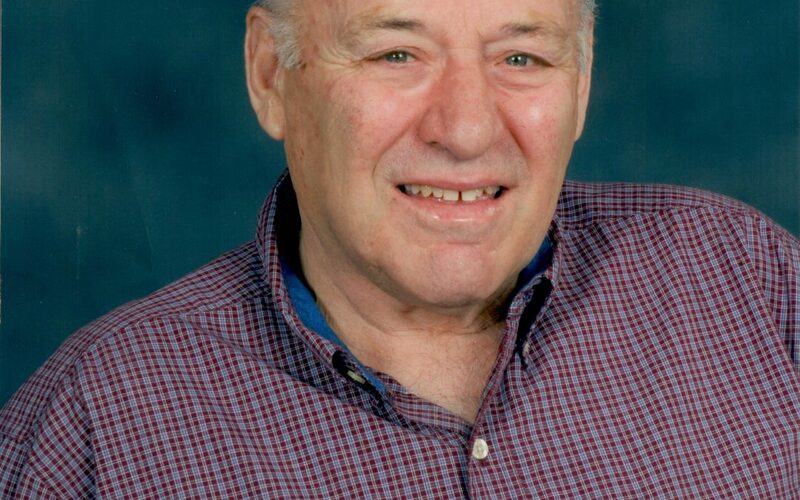 Wayne J. Kessler, age 81 of St. Michael, passed away Monday, February 4, 2019. He was born June 19, 1937 in St. Michael, the son of William and Gertrude (Robeck) Kessler. Wayne was a 1955 graduate of St. Michael Catholic High School. On July 6, 1968, Wayne Kessler and Gloriann Sabo were joined in holy marriage at The Church of St. Michael in St. Michael. God blessed their marriage with a son, James. Wayne and his brothers, Bill and John, were dairy farmers until retirement in 1995. Wayne worked with Sam and Clay Montgomery, the people who bought the farm, for many years in his retirement. They became good friends. Wayne was an active and faithful member of St. Michael Catholic Church and was a Knight of Columbus. Wayne was on the Frankfort Town Board for many years, served on the City Council from 1995 to 1998, and served as Mayor of St. Michael from 1999 to 2004. He was always interested in the goings on in the community and this enabled him to do just that. Wayne was also active in the St. Michael Historical Society. He rarely missed a family celebration or a funeral in the community. He is preceded in death by his wife, Gloriann Kessler; parents, William and Gertrude Kessler; parents-in-law, Elmer and Edith Sabo; sisters, Ardis (Donald) Schlief, Virginia Kessler; and brothers, Dale (Esther) Kessler, Bill (Patricia) Kessler, John (Marlene) Kessler. Wayne is survived by his son, James Kessler; sisters, Lois (Gene) Zachman, Beverly Kessler, Kate (Ray) Daleiden; brother, Paul (Joyce) Kessler; sister-in-law, Marilyn (Carl) Gates; 41 nieces and nephews; and many many other family and friends. A Memorial Mass of Christian Burial will be held Saturday, February 9, 2019 at 11:00 AM, with visitation beginning at 9:00 AM, at St. Michael Catholic Church in St. Michael with Father Peter Richards as Celebrant. A private family interment will be held at St. Michael Cemetery. A special thank you to the staff at The Legacy of St. Michael for all the loving care over the last year to Wayne and his family. They were truly like a second family to Wayne. Memorials preferred to the Hanover Food Shelf. Serving the family is The Peterson Chapel St. Michael-Albertville Funeral Home. 763-497-5362. www.thepetersonchapel.com. We will miss our Saturday breakfasts with Wayne. Our condolences to James and family. Wayne was a nice man with a great sense of humor. He will be missed. I am so sorry for the loss of Wayne. Wayne truly was a great friend and mentor to me and my family. I know in my heart Wayne is in a better place with God. I will truly miss Wayne’s wisdom and stories from years past. One thing always stood out to me as Wayne and I would talk and that was how much Wayne dearly loved his family. Wayne was a great example to me of how a life should be lived and never to lose sight of how important our family’s are. He was a true friend to me and I will truly miss him so much.